When it comes to the freshest cup of coffee, nothing can beat a batch made from scratch in the comfort of your home. That means you’re not just brewing the coffee fresh, but you’re making it using freshly ground coffee that you’ve just finished toasting and roasting yourself. Best home coffee roasters come in all shapes and sizes. 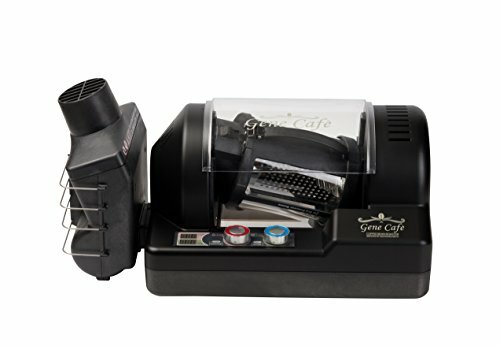 That’s right, a home coffee roaster is a must-have for the true coffee connoisseur! Think about it: what could be fresher than a batch of beans you roast at the moment you want to drink the coffee? You roast the beans, grind it up, and put it through your coffee machine all in one go. There’s no time for the antioxidants and oils in the coffee to degrade because everything is made 100% fresh! 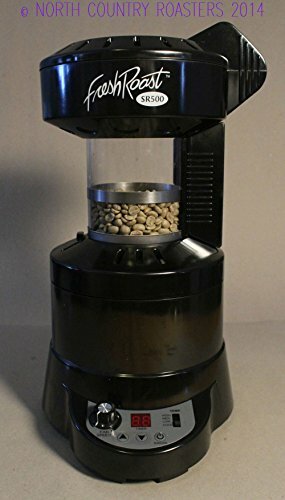 This is a drum-style coffee roaster, one that looks a lot like a toaster oven but with a metal cylinder instead of oven trays. You simply pour the beans into the cylinder, turn it on, and roast the beans. You can use it in your kitchen or at the office, thanks to its countertop design and smoke suppression system. The roaster can hold up to 1 pound of coffee beans, and you can choose from 5 different roast profile settings. There’s even a manual roasting override for those who want total control of the roasting process. The quartz roasting elements are controlled via thermostat, and you’ll love how you can adjust the speed of the roasting drum for faster or slowing rotations. The design is made to be very user-friendly. You’ll love how easy it is to load up the roaster, and the chaff separates from the beans for easy post-roasting cleaning. There’s even an interior light so you can see how the roasting process is progressing. If you’re looking for a home roaster that gets the job done a large batch at a time, this is the one for you! Is $350 too high a price to pay for a quality coffee bean roaster you can use at home? Definitely not! It’s the priciest of the roasters on our list, but it’s worth it if you want total control over the roasting process. Of course, you can find the latest discounts and prices here! This roaster is designed to turn half a pound of green beans into fully toasted coffee ready to grind and brew in just 15 minutes. It’s a classic cylinder drum roaster, with a roast chamber fully visible so you can keep an eye on the progress of the beans. The little machine comes with multiple air flow and temperature settings, giving you total control over the roasting process. The roaster is good for small coffee shops or home use, as it can handle decent quantities of beans (8 ounces at a time). 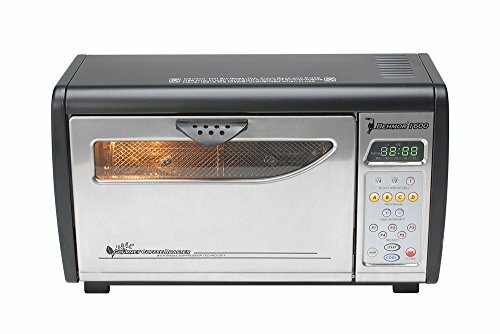 The speedy roasting ensures a fresh batch quickly. It’s also a very user-friendly, no-mess machine. The chaff collector is easy to empty, and there is a very limited amount of smoke produced by the roaster. At $600, this is a bit of a pricey investment for at-home use. However, if you MUST have coffee your way, it’s worth considering. It may not be quite as good as the Behmor (our #1 pick), but it’s a close second. Check out the latest prices and discounts here! If you’re looking for something a little simpler (and cheaper), this roaster is the one for you! The roaster doesn’t use a drum; instead, it uses a fluid air bed chamber that roasts whatever beans are on the bottom of the container. You’ll need to stir the beans as they roast, else risk burning the coffee. However, the roaster is designed to quickly and easily separate the chaff. You also get full control over the heat and fan. You’ll only be able to roast 4 ounces of coffee at a time, so it’s not going to handle large quantities of coffee. The lack of cooling cycle means your beans need to cool on the countertop before grinding and brewing. Be warned: the roaster does vent smoke during the cooking. You’ll need to set it near a window or under your stove’s smoke hood to prevent your kitchen from getting smoky. The roaster will run you just under $180—not too pricey, but not the cheapest appliance, either. It’s a good alternative to the pricier Behmor coffee roaster if you’re looking for something a bit more affordable. Check out the latest discounts and prices! 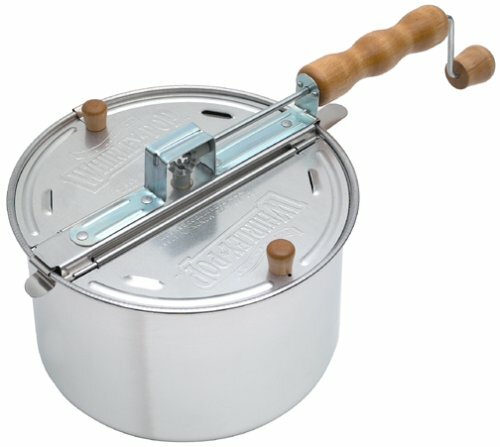 For those who want a unique option for roasting coffee, this stovetop popcorn popper does the trick! All you have to do is fill it with coffee beans instead of popcorn, place it on the stove, and let the fire roast the coffee for you. The popcorn popper can hold a pretty good amount of coffee (up to a pound at a time), and the built-in stirrer will keep the coffee beans moving as you roast them. The pan is made of sturdy aluminum, with a lid that keeps the heat in for a more even roast. It’s beautifully easy to use and clean. Best of all, it will run you just $30! Check out the latest discounts here!